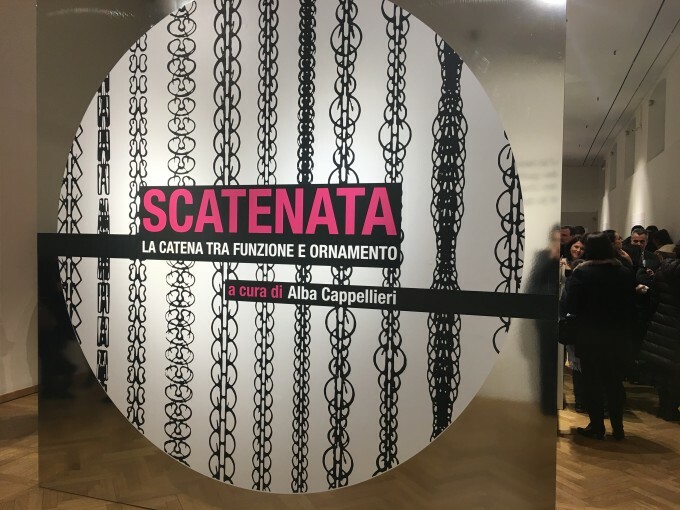 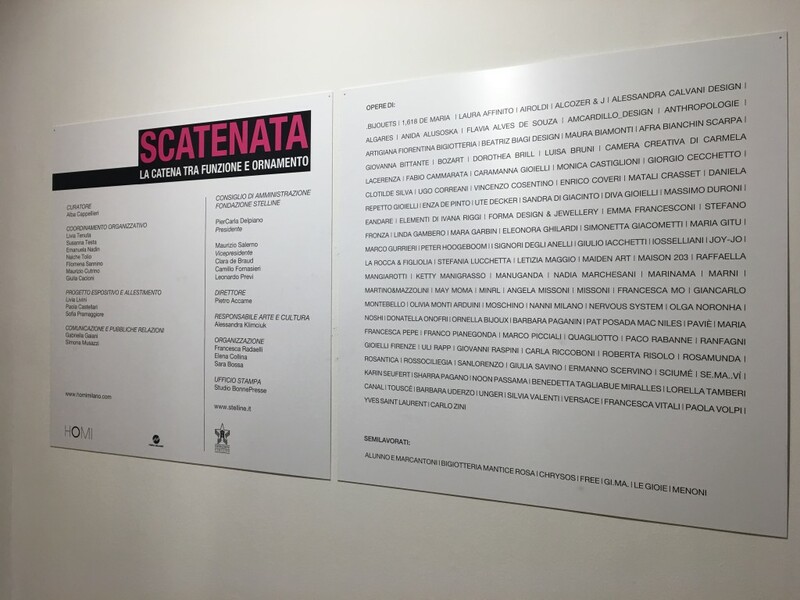 “Scatenata” is an exhibition dedicated to the chain, regarded as the most recurrent and cross-sectional element in the history of jewellery. 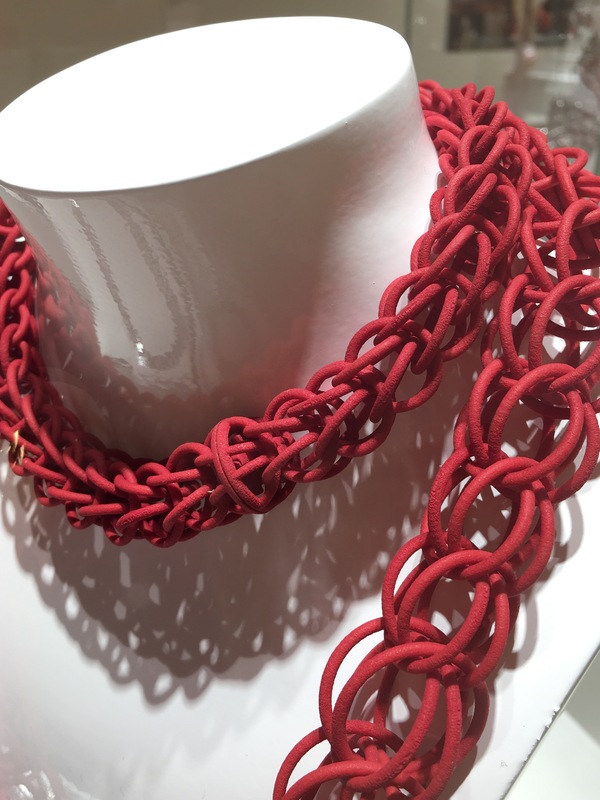 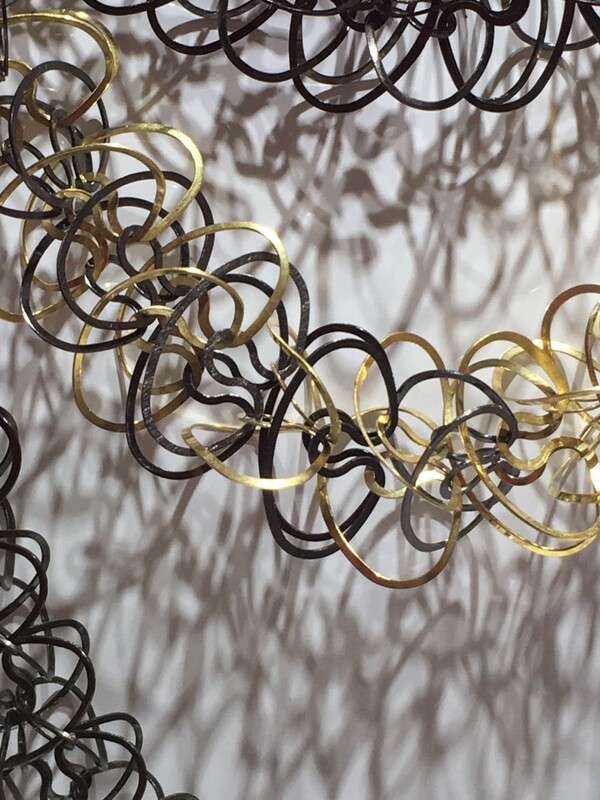 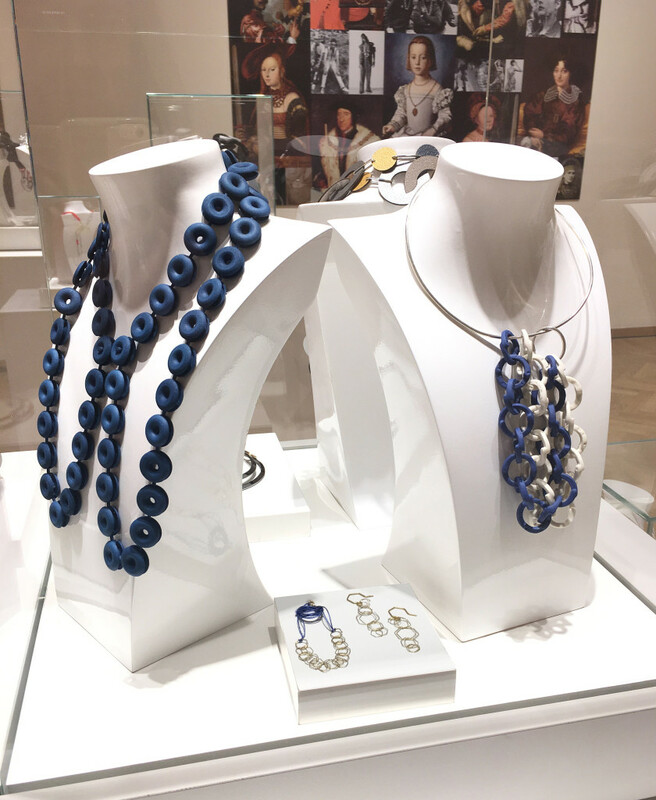 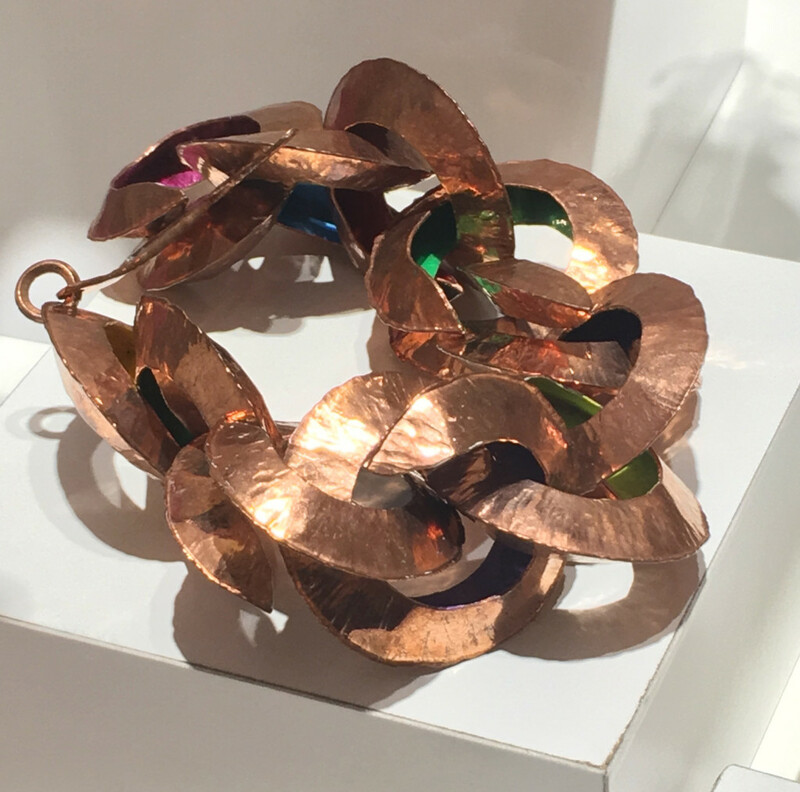 Its links have inspired goldsmiths, artists, designers, stylists and creators of costume jewellery of all ages, representing the strength and identity of Italy’s production. 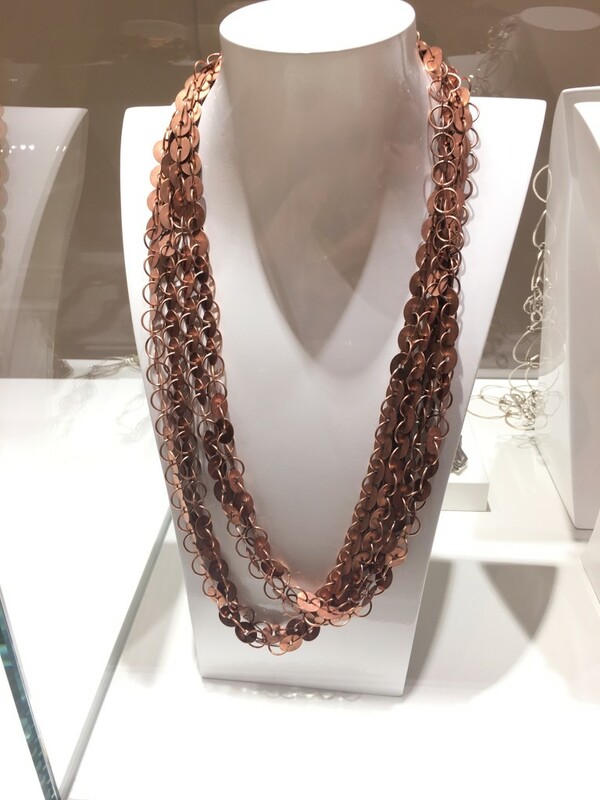 The chain tightens, ties, supports, decorates; it encompasses universal symbolisms, alluding to the fascinating concept of circularity; it is an ornament with no boundaries, neither chronological nor geographical, that runs through the history of fashion, art, technology and metallurgy. 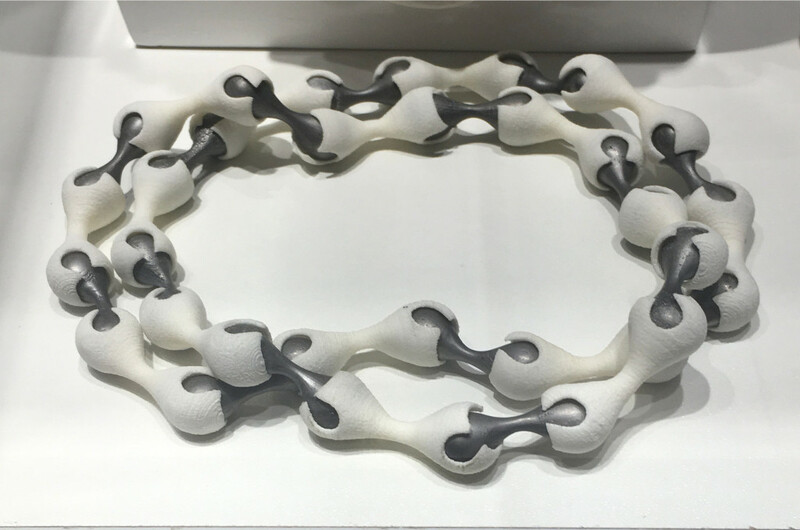 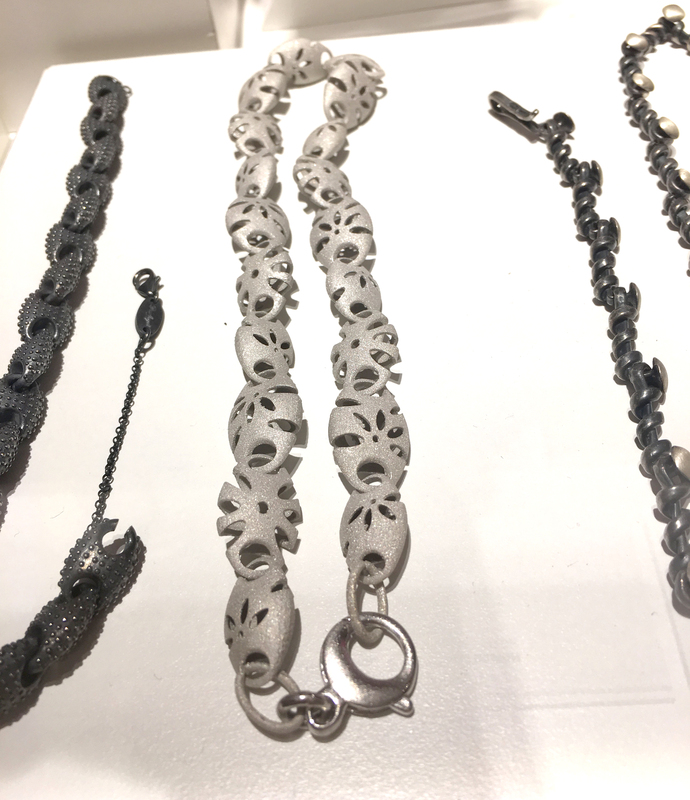 A stunning, “unchained” journey that demonstrates how a simple functional element can give life to extraordinary jewels capable of projecting the past into the future, in the pursuit of creativity, beauty and innovation. 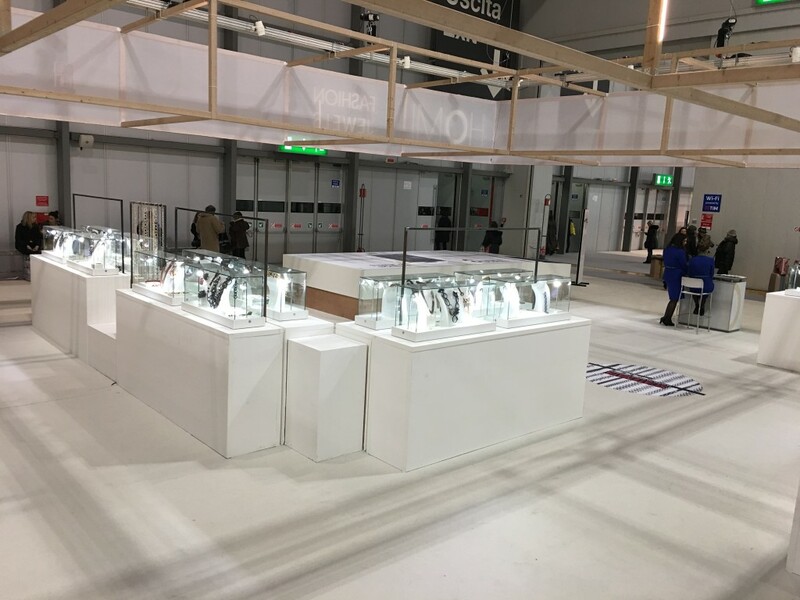 Curated by Alba Cappellieri, presented at the Milan Fairgrounds in January 2017, for Homi ad then in February-March for the Milan’s fashion week at Pallazzo delle Stelline. 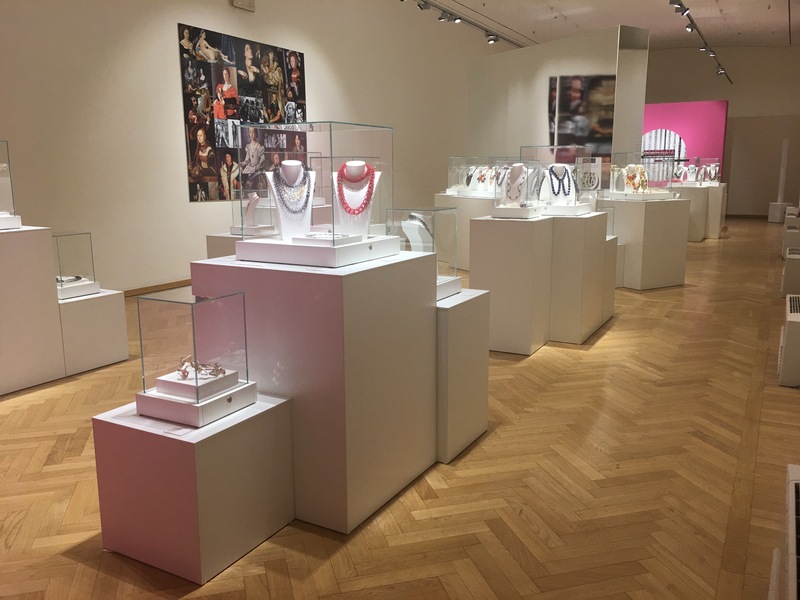 The exhibition features 150 pieces made by artisans, artists, designers and gold/silversmiths, form Italian and international companies. 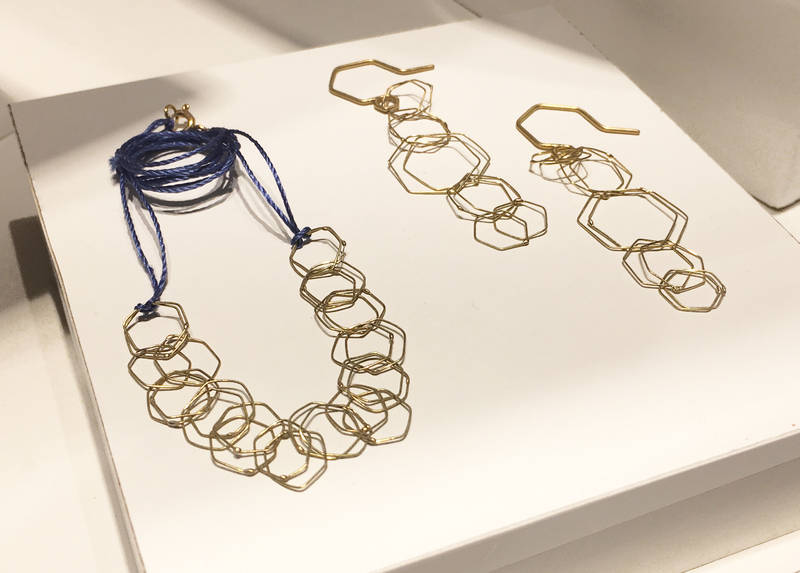 Air necklace and earrings by minrl, 18kt gold and silk thread. 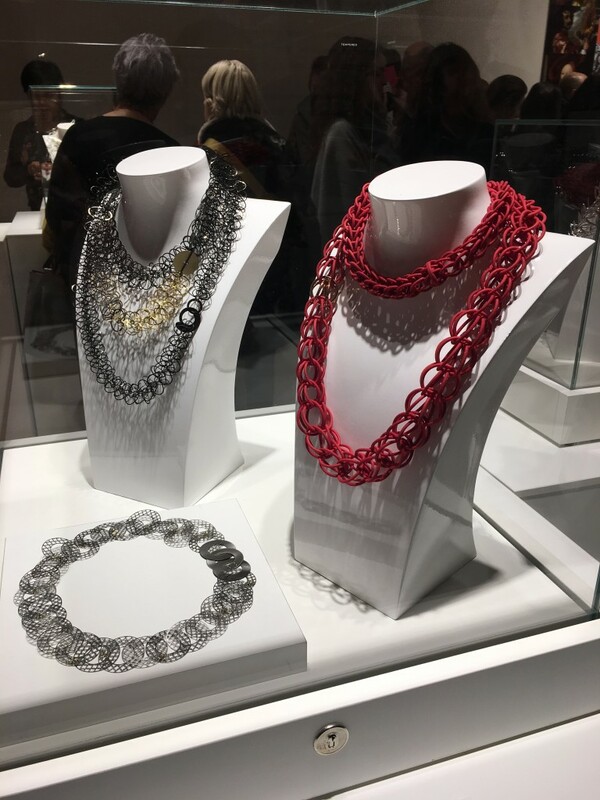 Links by Beatriz Biagi, sinterised silver. 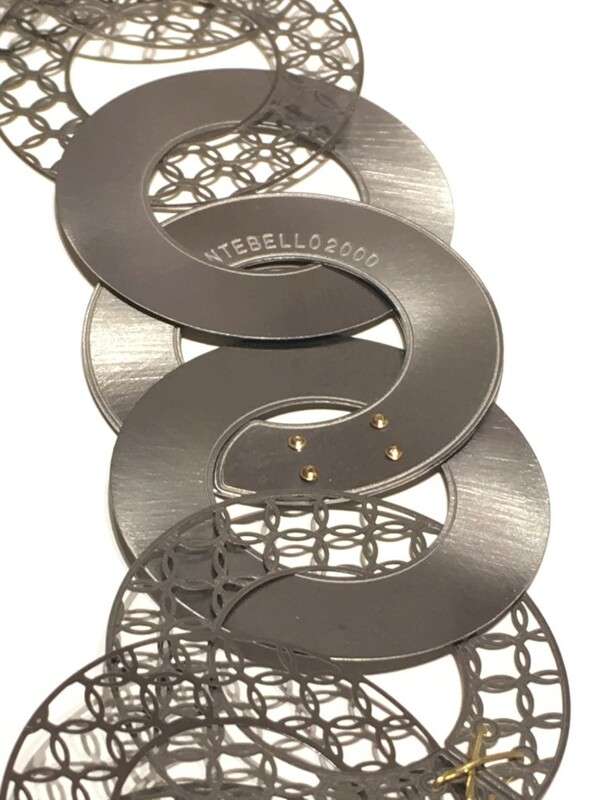 Superleggeri by Giancarlo Montebello inox and yellow gold.